With winters knocking at the door, signaling us to open up our treasures of warmers & woolens, it’s just the right time to patch up a quilt. 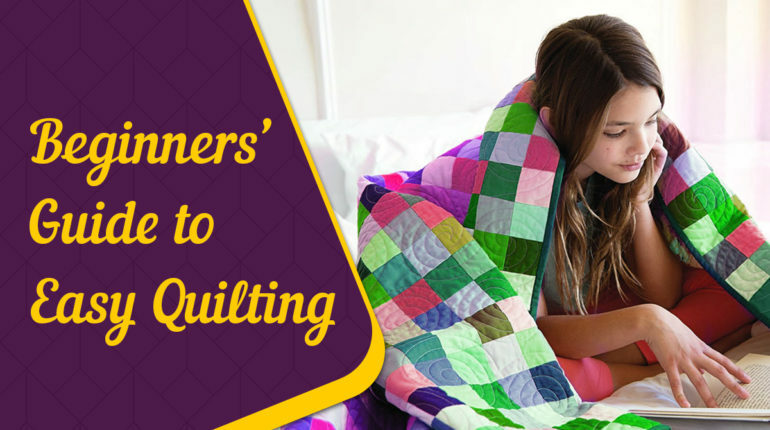 If you’re a hobbyist and love to sew pieces together, then quilting is definitely, your cup of tea. Yes, remember, motivation can move mountains? You need a motivation to begin any project, even pursuing a hobby. So, inspire yourself to prepare a work of Art & Craft with your own hands. Guidance or some self-help is the second step to accomplish your goal. Congratulations! If you’re reading this, you are already on the second step of the ladder. You are here looking for some assistance, isn’t it? If you don’t have anyone to suggest you tips or point out your flaws, keeping a help book at hand is much more preferable than surfing the internet, for every little mistake. The next step you need to take is zero in on a size. Usually, a small size is perfect for a beginner; you can try sewing a Crib-size, one of the smallest sizes for quilts. If you want more practice, then you can go for a size as per your own choice. You should buy the fabrics required for the top & back commensurately. You should not run out of the fabric while still quilting, it’s not always a lucky day to find the same fabric in the same color. Pay more attention to the back, it actually acts as a base for the top. After you’ve decided the measurements & bought the fabric accordingly, the next things you need, are the tools. “Tools of trade” are very important for any craft. 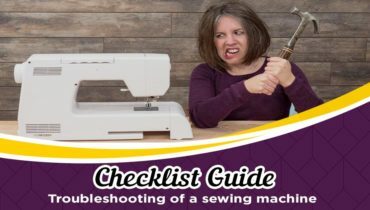 Most indispensable quilting tools are, needle, threads or good sewing machine & most importantly, rotary cutters, without them it’s impossible to cut the patches required to fit into the patterns. 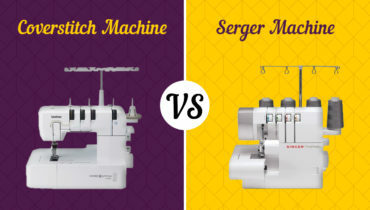 The most important part of the quilting journey is buying a branded and a user-friendly quilting machine. It will make your quilting journey, smooth and very easy. You can choose from a variety of models available in the market. It’s true, intricate patterns are very tempting, but for a beginner, it’s prudent to take up an easy pattern. Easy patterns actually look amazing with bright colors & contrasts. In fact, quilting looks neat & clean on easier patterns & eye-catching color combinations. Color not only helps a design to bloom but also highlights the patterns in general as well. Choice of the colors is actually the key to all the crafts & patch works especially quilting. Try using a dull but a light drapery and let the design glow on it. If it’s not warned about the fabric, then do prewash the fabric before sewing, it also lets the excess colors bleed away before quilting. The fabric usually shrinks after it’s washed for the first time, a prewash ensures the fabric shrinks & becomes its original size. Therefore, the quilts don’t easily tear, after the first wash. Pressing is the actual task in quilting. Pressing the patches with an iron especially cotton patches ensures proper pasting on the back cover. The iron should be set according to the temperature required by the patch fabric. You need to ace the quarter seam allowance. It’s narrower than the ones used on clothes, so it requires extra care while stitching the patches together. Once you learn the tricks needed for seaming, you can easily create quilts.